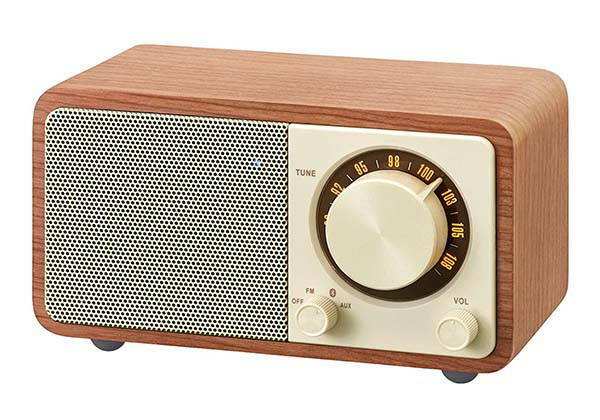 Sangean WR-7WL mini wooden Bluetooth speaker not only brings you your favorite music, but also add some charming retro aesthetics into your daily life. Like the design? Let’s keep checking. 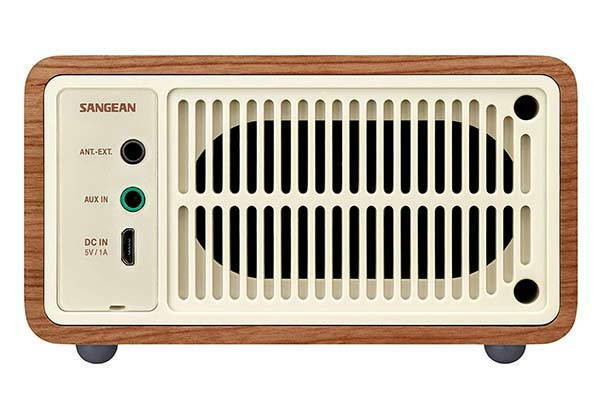 Sangean WR-7WL is a beautifully crafted wooden Bluetooth speaker that measures 4.5 x 2.8 x 2.5 inches and weighs 13.1 ounces. As we can see from the images, the speaker shows off an eye-catching old-school appearance design. The analog knobs glowing numbers and wooden casing make it look like a creation from the 70s. Meanwhile, the real wood veneer cabinet not only provides an acoustics-friendly and durable construction, but also delivers sleek sleek natural aesthetics. The palm-sized design allows you to effortlessly take it with you anywhere. The mini Bluetooth speaker comes equipped with a 40mm full range active speaker with passive radiator and an acoustic suspension system for clear and loud sound with lower distortion, and the dual mode amplifier not only allows for better FM reception in class AB mode, but also provides better power efficiency with Bluetooth in Class D mode. In addition to streaming music from your smartphone or tablet using Bluetooth technology, the mini speaker also features built-in FM radio so that you can enjoy your favorite FM radio stations. Moreover, an extra 3.5mm audio input allows it to work with any music player with 3.5mm audio jack. Its 2600mAh rechargeable battery offers 36 hours of battery life between charges. 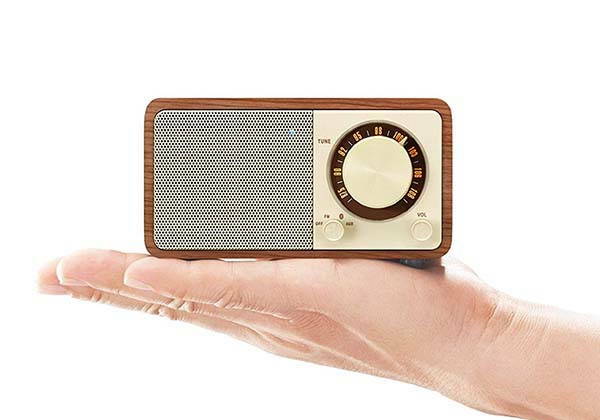 The WR-7WL mini wooden Bluetooth speaker is priced at $78.97 USD. If you’re interested, jump to the product page for its more details.